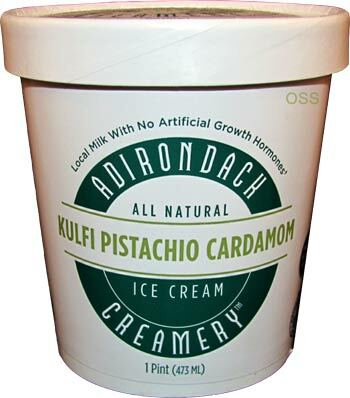 [By Nick] Along with their Caramel Apple flavor, I also picked up Adirondack Creamery's Kulfi-Pistachio Cardamom ice cream during my last trip to Niskayuna Co-op. 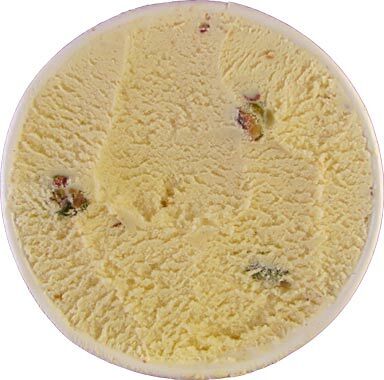 I've been meaning to try more flavors incorporating pistachios and this one sounded pretty unique. While I know what cardamom is, I'm not too sure if I've ever tasted it. As for kulfi, yeah I have no idea what that even is. 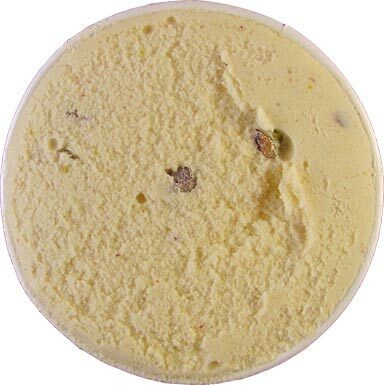 According to Adirondack, Kulfi is a frozen dessert from India that includes a mix of spices, pistachios and condensed milk. And I've now learned something new today. Opening this one up, you can already tell something is going on here. There are specs of what I'm guessing is cardamom littered throughout the base. There's also a weird smell coming from the ice cream. I can't even describe it. Maybe I'll have better luck with the taste. Yeah, no. Putting it as nice as possible, this stuff is gross. This is the most savory ice cream I've ever experienced and it's not amusing me at all. Maybe this is how the traditional dessert tastes but it's not something I like at all. 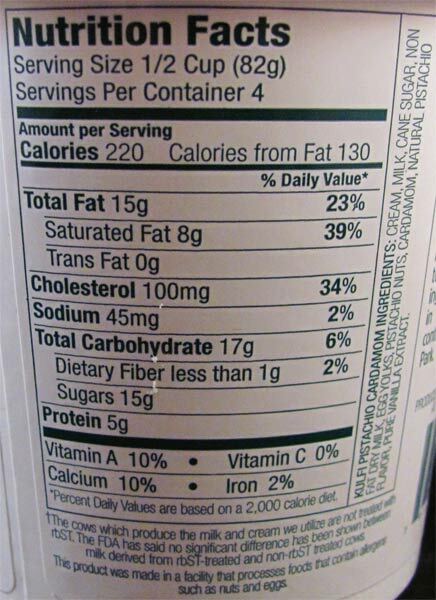 I can't even taste the pistachios. All I'm getting is a funky flavor that has to rank as one of the worst frozen desserts I've had. Of course this is all personal tastes and I'd imagine those familiar with Indian cuisine would love this stuff. It's really not for me and if you see this one and feel iffy about it, I'd advise against taking the risk. It's just so strange and unappetizing to my taste buds. This takes weird to a whole new level. Nick, sorry to hear this stuff was gross. When I read the first line of the review which stated the name I had a bad feeling about it. :( Thanks for taking one for the team! Stride, not expensive at all. They retail normally for $5 a pint but go on sale for around $3. Danielle, I try my best aha.